Introducing - A better way to bank! 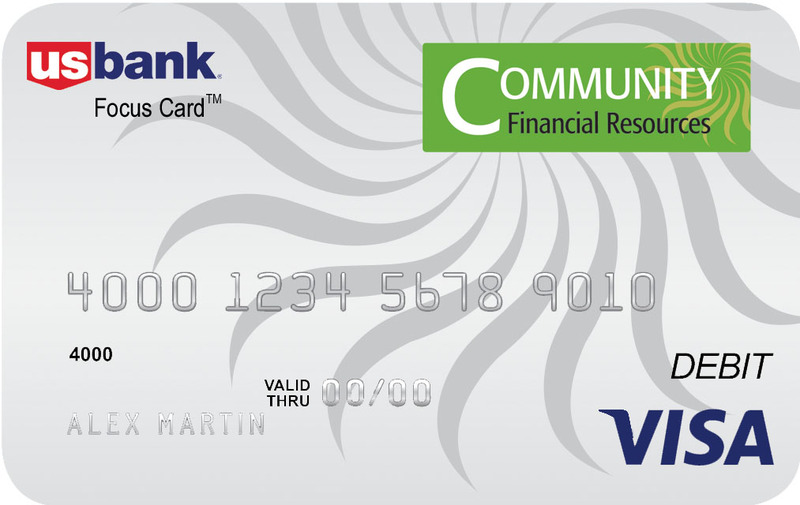 Introducing the Community Financial Resources Prepaid Debit Card. Apply in less than 5 minutes, use it for life. Use your Community Financial Resources Prepaid Debit Card anywhere Visa® debit cards are accepted. Get free direct deposit of your paycheck, tax refunds, or government Benefits. Or load cash onto your card at convenient Service Locations. Click here to search for locations.